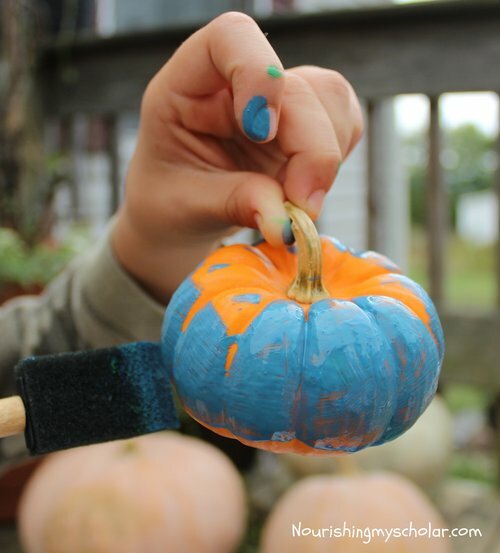 We paint pumpkins every year. 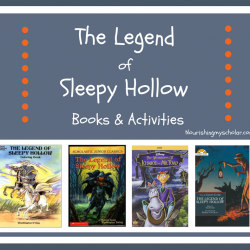 It’s the perfect Halloween or fall activity. 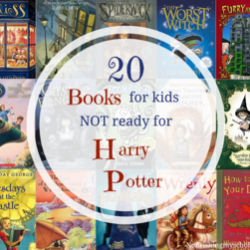 Especially for children who do not have the strength, dexterity, coordination, or are not yet old enough for carving pumpkins. 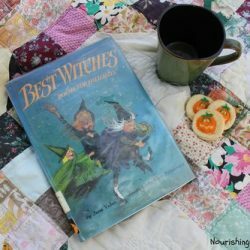 This year was no different although I did read aloud to the children from a new selection of Halloween books while they painted. 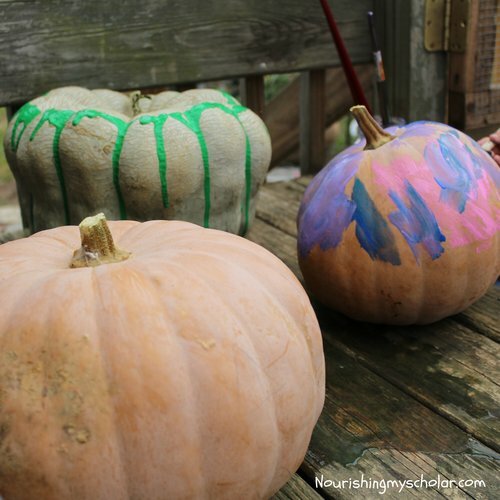 We started with a selection of pumpkins ranging in sizes from extra small to large. 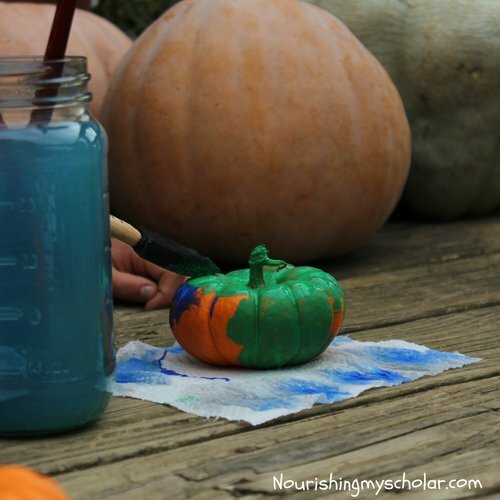 I provided paints in primary colors plus white and let the children have fun mixing them to create new colors. 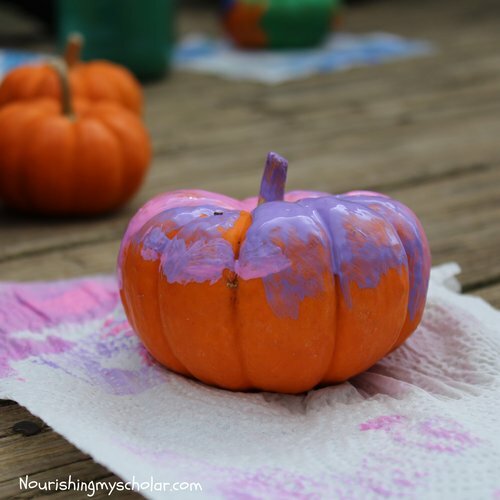 Our daughter loved mixing the white and red to create pink while our son enjoyed the blue and yellow making green. 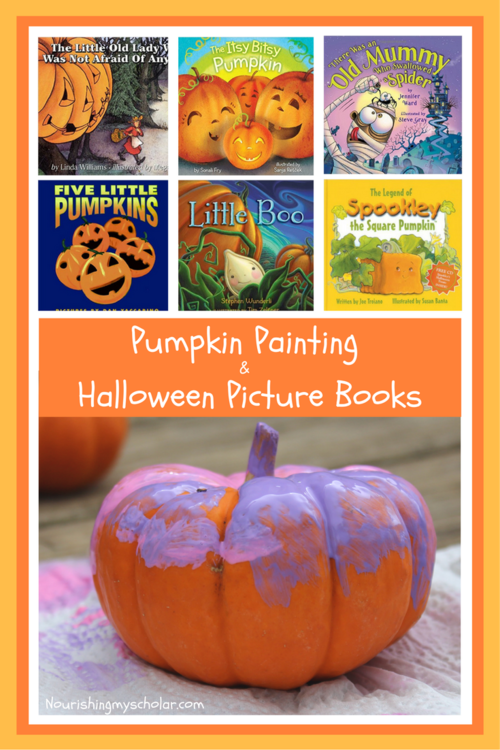 Here are some of the family-friendly Halloween books we paired with our pumpkin painting fun! 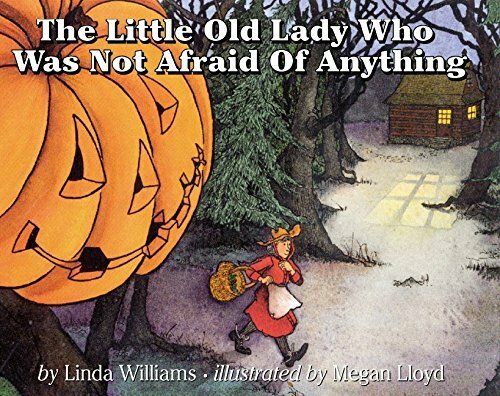 The Little Old Lady Who Was Not Afraid of Anything by Linda Williams is great fun that bit by bit reveals what exactly is following the Little Old Lady through the woods! 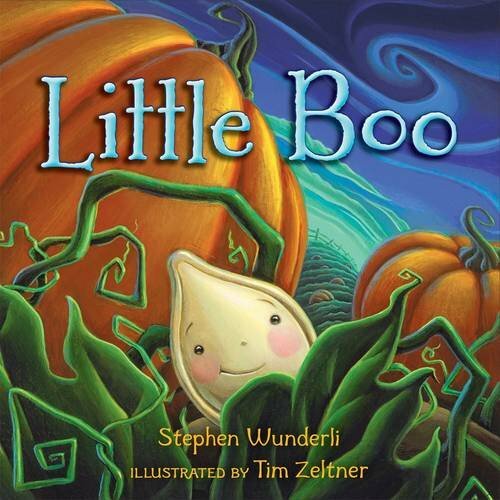 Little Boo by Stephen Wunderli tells the story of a little pumpkin seed that tries so hard to be scary. 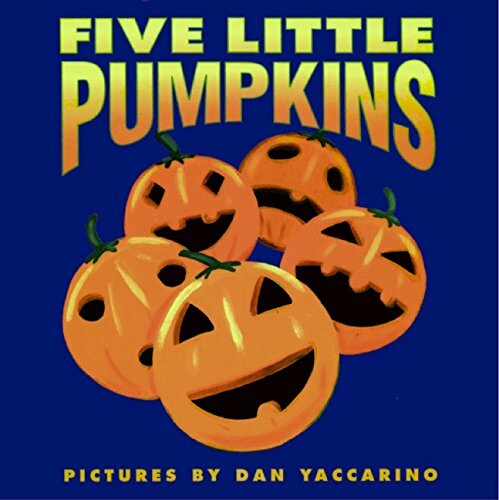 Five Little Pumpkins by Dan Yuccarino is a delightful poem that our daughter LOVED! 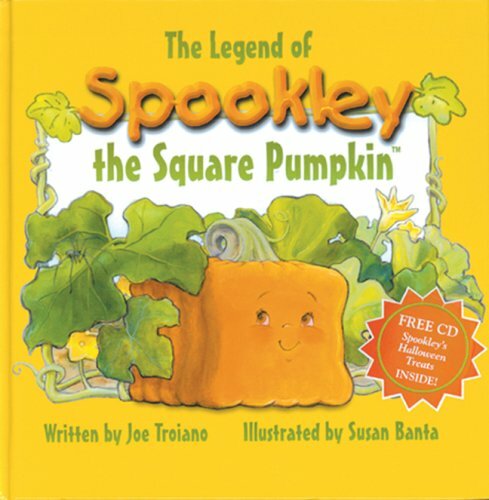 The Legend of Spookley the Square Pumpkin by Joe Troiano reminds us to celebrate our differences whether we are round or square. 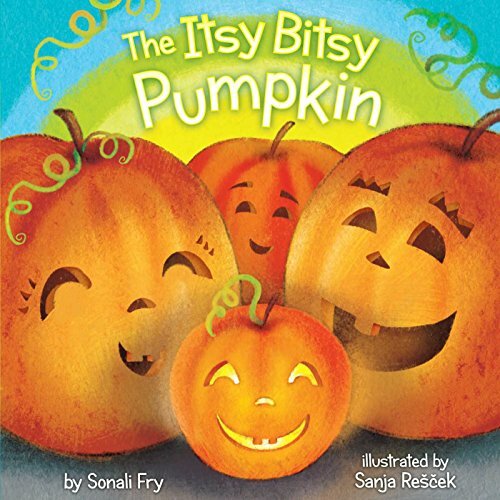 The Itsy Bitsy Pumpkin by Sonali Fry is our daughter’s favorite Halloween rhyme! 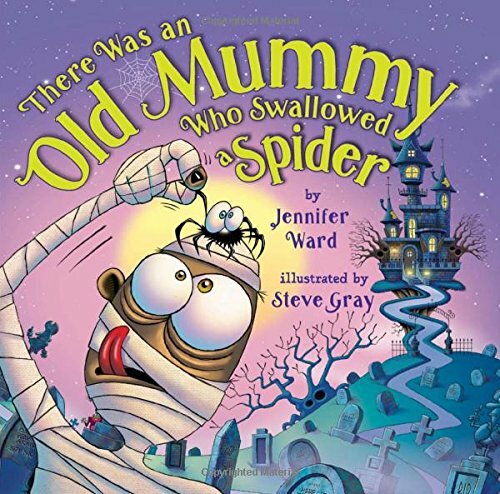 There Was an Old Mummy Who Swallowed a Spider by Jennifer Ward is a Halloween twist on the traditional There Was an Old Lady song. 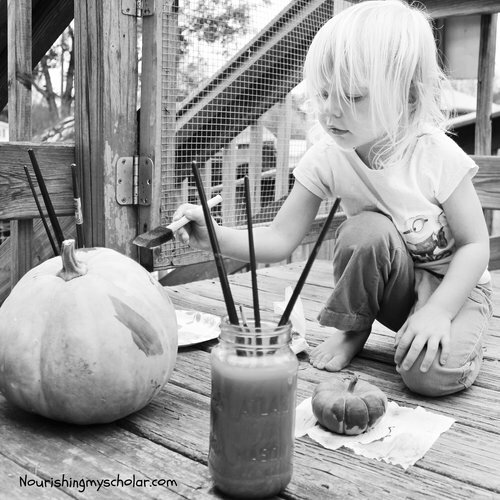 The pumpkin painting and Halloween stories were a hit. The children were extremely happy with their creations. 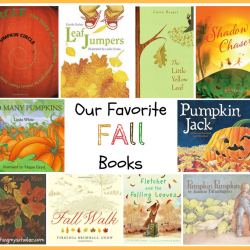 As we left the pumpkins to dry on the porch the kids begged me to re-read their new favorite Halloween books! 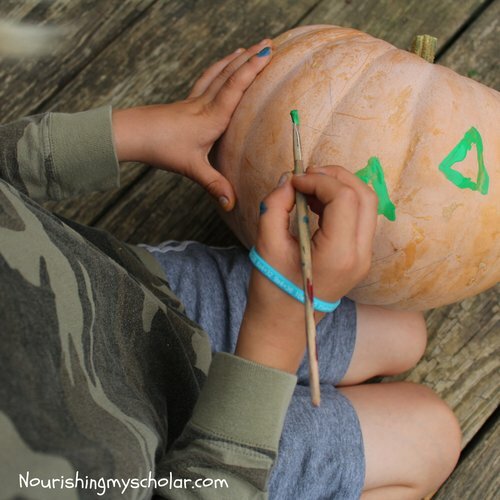 What are some of your favorite Halloween and fall traditions?